I don’t know what brought you to this point. I don’t know what struggles you’ve faced or trials you’ve gone through. I don’t know how far you’ve had to climb or how hard it was to make that climb. All I know is that you wonder if it’s worth it. You wonder if you should give up. You wonder if you’ve accomplished all that you are capable of accomplishing in life. You feel that your efforts to make a difference in the lives of others have gone un-noticed. You feel small and insignificant. Perhaps you think the boss hasn’t noticed how good your work is. Maybe you think your family doesn’t see how much you do for them. Maybe you think the patients don’t recognize how much attention you are paying to them. Perhaps you don’t think the teachers or coaches give you enough credit for all your effort. Maybe you think the congregation or the constituents don’t care about how hard you work to serve them with excellence. But you need to know today that you were designed, destined and created for greatness. You were made for this climb. You have the skills, and the knowledge, and the tools to make it. You may have already scaled heights that would cause others to shudder in fear. That’s okay, but there are higher peaks ahead for you. Others may be willing to stop at lower summits. Not you. You know that there is something inside you calling out to you to climb higher because you were meant for more. You weren’t put on this planet to be mediocre. There is more inside of you. God has placed in you the strength, the ability, and the talent you need. He wants to come alongside you with His power to enable to do more than you can imagine. He has the resources to provide for you to be able to make the next leg of the climb. So, don’t second-guess yourself today. You are no average individual. You were never created for the lowlands. You were not even created for hilltops. You were created to scale majestic mountain peaks. You may have much ahead of you, but you are up to the glorious challenge and you will make it… if you don’t give up. And know this… God loves you enough today to intersect your life with this blog and tell you what you needed to hear. 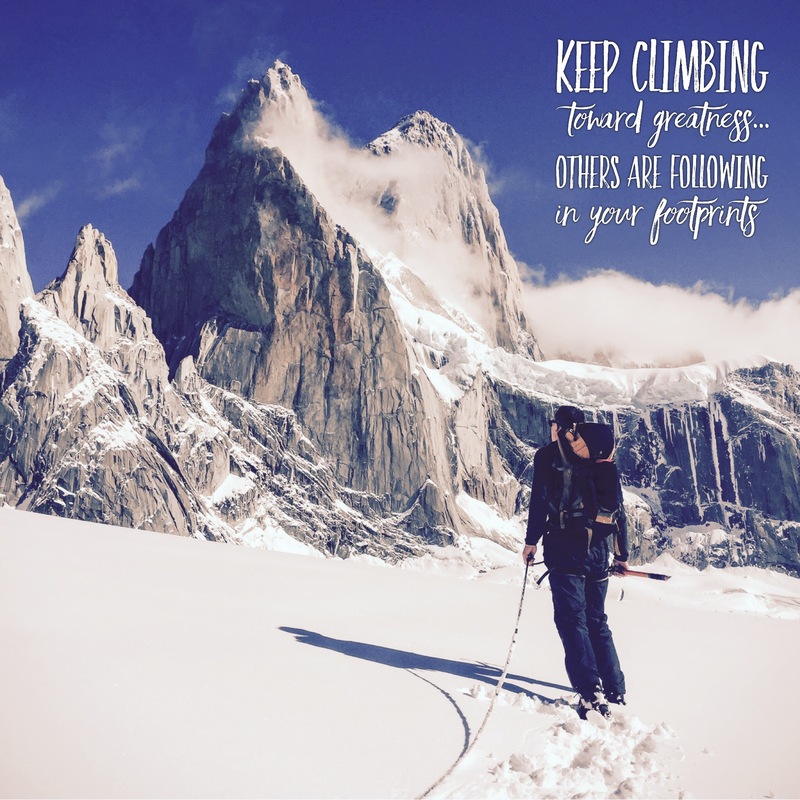 That alone should be enough to let you know that you can keep climbing. Believe me, champion, you’ll look back one day in amazement at where He has brought you and be glad you did! Prev Post: Thank The Lord!